The Federal Government of Nigeria has allocated a 5.12-hectare piece of land in Abuja to the African Export-Import Bank (Afreximbank) for the development of a centre of excellence for medical services to serve Nigeria and the west African subregion. The centre of excellence, the first by Afreximbank in Nigeria, will be completed 24 months after a groundbreaking exercise expected to take place in December. It is being developed by Afreximbank in collaboration with Kings College Hospital (KCH), United Kingdom, which is serving as the strategic partner. 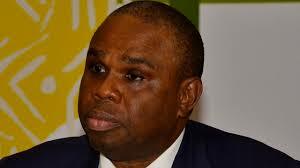 Afreximbank said that allocation of the land, which took place on 29 January, would allow for project development activities to proceed in order to ensure the timely delivery of the project. The centre will provide specialist healthcare to improve the quality of health care for Africans and at will promote intra-African medical tourism. It will also create employment and facilitate the conservation of the foreign exchange that would otherwise be utilized to seek medical treatment outside Africa. It will offer a full spectrum of medical services, including diagnostics, clinical management, post care and onsite ambulatory services, in treating oncology (cancers), haematology (blood diseases, including blood cancers, and sickle cell anaemia) and cardiology diseases. It will also provide prompt, life-saving detection and management of chronic diseases to over 50,000 Africans annually. The centre is expected to create about 500 direct jobs and to be the basis for the emergence of a comprehensive medical park with facilities to be managed by KCH. Nigeria was selected in February 2017 to host the centre following a competitive bidding process. SAfreximbank is supporting the development of world-class health facilities in Africa in the context of its mandate to promote the diversification of continent’s exports by meeting the growing health care needs with a view to enhancing service exports, promoting employment and conserving scarce foreign exchange.